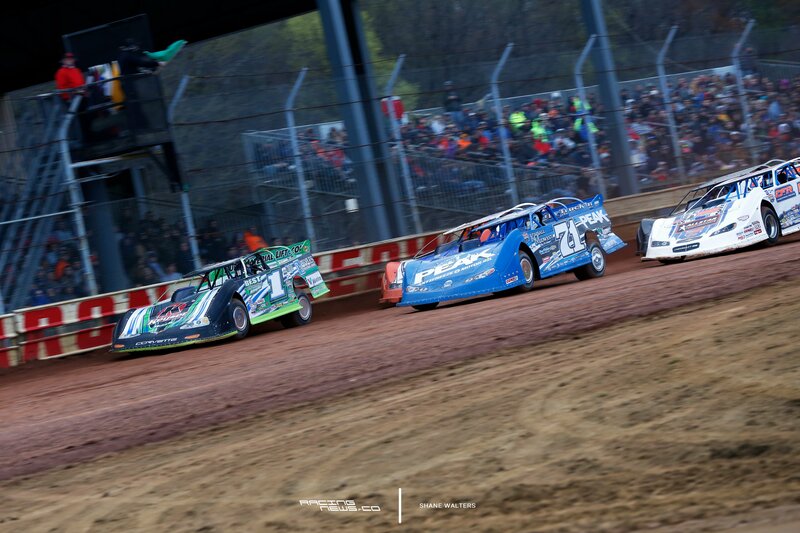 BATAVIA, OHIO (April 17, 2018) – A busy weekend awaits the stars of the Lucas Oil Late Model Dirt Series, with three events across three states, on three consecutive nights, beginning Friday. The nation’s top dirt late model drivers will converge at three of the Mid-Atlantic’s fastest dirt ovals, chasing over $130,000 in prize money. The Lucas Oil Late Model Dirt Series will return to Sharon Speedway in Hartford, Ohio on Friday, April 20. The Steel Valley 50 presented by Performance Bodies and Barris Truck Service will include a complete program of: Miller Welders Time Trials, Heat Races, B-Mains, and a 50-lap, $12,000-to-win main event. The Sportsman Modifieds will also compete for $600-to-win. To purchase advance tickets or find more information, visit: www.sharonspeedway.com or call (330) 772-5481. The action will shift to Hagerstown Speedway in Hagerstown, Maryland on Saturday, April 21. The ultra-competitive Lucas Oil Late Model Dirt Series has seen an impressive streak of nine different winners in nine events at the lightning-fast, half-mile oval. The 37th Annual Stanley Schetrompf Classic will be a complete show with Miller Welders Time Trials, Heat Races, B-Mains, and a $12,000 to win, 50-lap main event. Joining the Lucas Oil Late Model Dirt Series at Hagerstown Speedway will be the Pure Stock division. For tickets and more information, visit: www.hagerstownspeedway.com or call (301) 582-0640. Port Royal Speedway in Port Royal, Pennsylvania will cap off an action-packed weekend on Sunday, April 22. The “Rumble by the River” presented by Moonshine Camo has become one of the most anticipated events of the season at the half-mile oval and will include: Miller Welders Time Trials, Heat Races, B-Mains, and a 50-lap, $10,000-to-win main event for the Lucas Oil Late Model Dirt Series. The Port Royal Speedway Limited Late Models will also be in action on Sunday, April 22. For more information, visit: www.portroyalspeedway.com.